Beautiful summer hanging chair made of cotton. 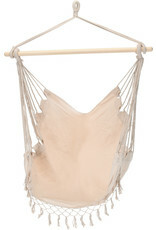 Relax in this relaxed hammock chair. With a delicious drink or a good book you can't think about anything anymore! Hanging chair for inside and outside. Even with less weather you can doze off in this nice place to relax. 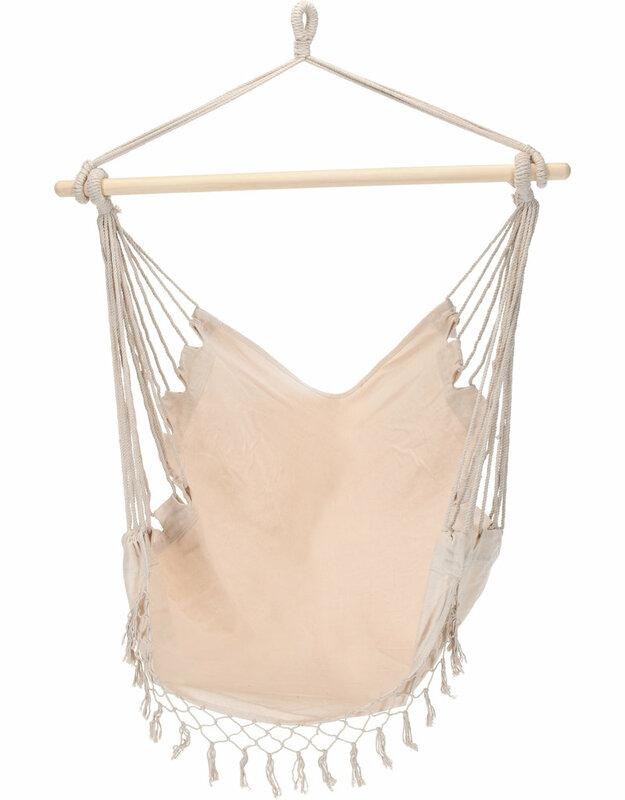 This hanging chair is not only handy in the garden, it can also be hung indoors. The chair is portable and easy to install, so you can use it easily in different places.